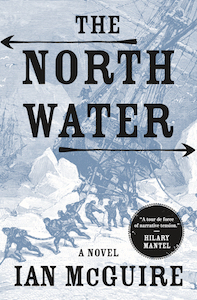 A dark, graphic tale of nineteenth-century whaling ship that sets sail for the Arctic with a killer aboard. The North Water feels like the result of an encounter between Joseph Conrad and Cormac McCarthy in some run-down port as they offer each other a long, sour nod of recognition ... McGuire has an extraordinary talent for picturing a moment, offering precise, sharp, cinematic details. When he has to describe complex action, he ­manages the physicality with immense clarity. He writes about violence with unsparing color and, at times, a sort of relish. The writing moves sometimes from the poetic to the purple, but McGuire is careful not to use too many metaphors or similes or too much fancy writing when he needs to make clear what cold feels like, or hunger or fear. It's the poetic precision of McGuire's harsh vision of the past that makes his novel such a standout. I suggested that initial Melville comparison because of McGuire's detailed accounts of whaling, of course, but he's more in line with Gothic writers like Mary Shelly and Poe who imagined the blank wastes of the Arctic as a kind of frozen hell. 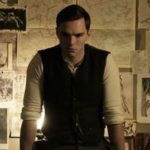 Like Sumner, we readers are enticed on board The Volunteer and then find ourselves swept along on what turns out to be a voyage of the damned. Mr. McGuire nimbly folds all these melodramatic developments into his story as it hurtles toward its conclusion. He has written an allusion-filled novel that still manages to feel original, a violent tale of struggle and survival in a cinematically beautiful landscape reminiscent of the movie The Revenant but rendered with far more immediacy and considerably less self-importance. What did you think of The North Water?